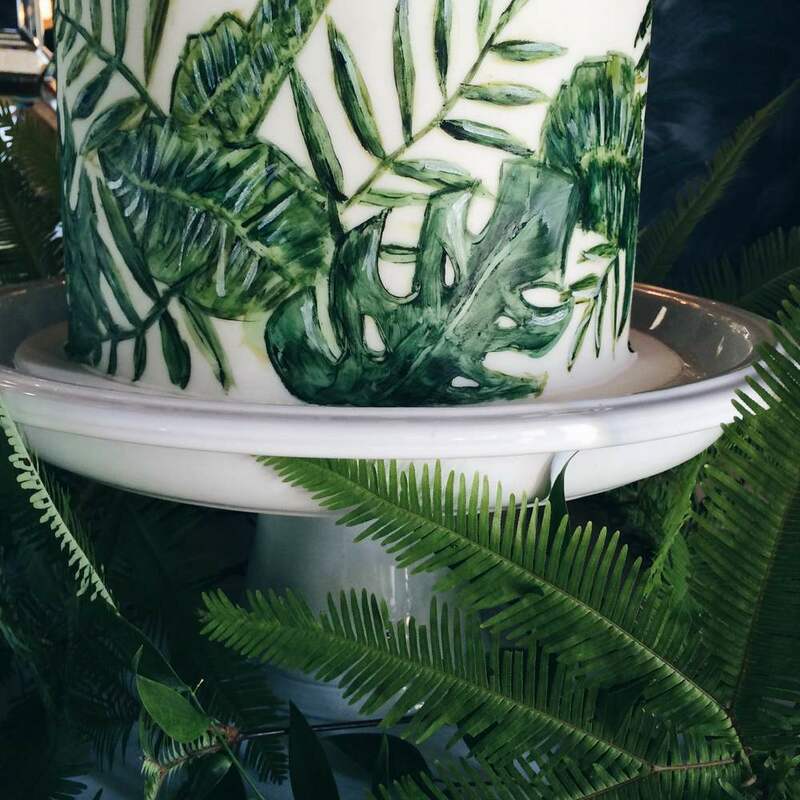 The lovely Desi from Styled for Love Events reached out to me to create a cake for a couple going with a sophisticated and modern tropical vibe. 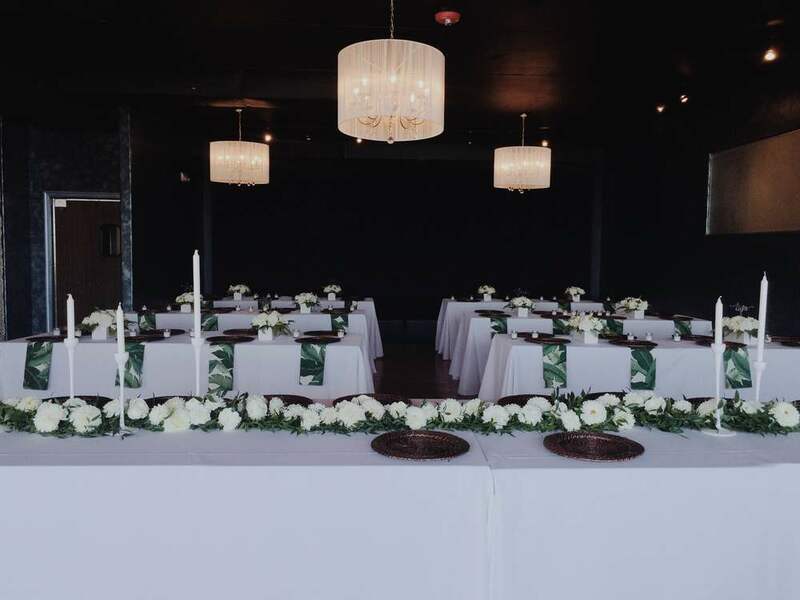 Once she sent me a photo of the invitation, I knew the exact direction I wanted to take the cake in. I've brought elements of hand painting into many of my projects, but have been looking forward to the opportunity to do so on a larger, more prominant scale…and this was the project! 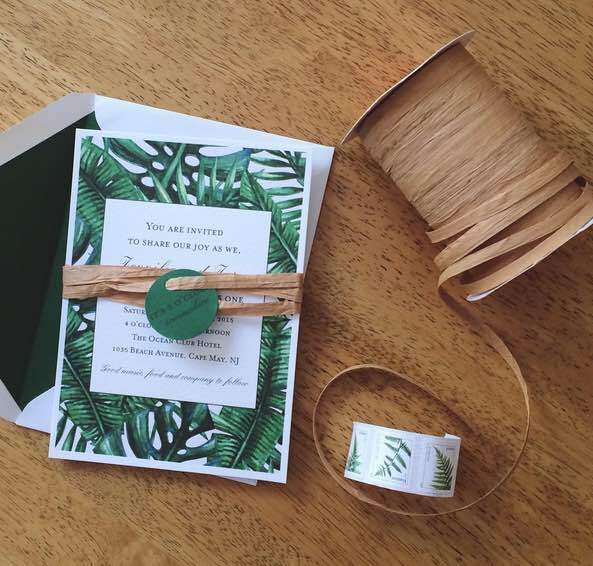 The leaf pattern was inspired directly from the invitation, as well as the touch of raffia. Desi explained to me that the palm and leaf motifs were Jesus's idea and Jen's personality was represented in the form of various white blooms. 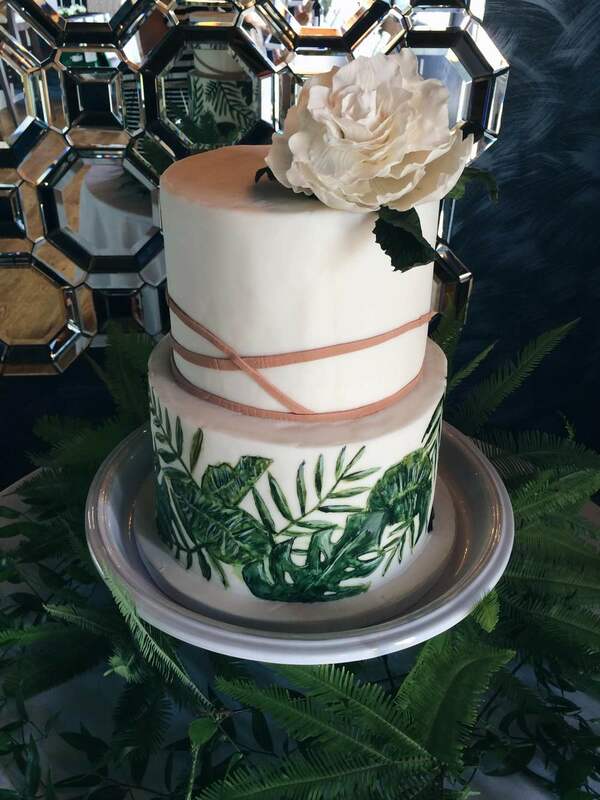 I topped the cake with a lush, white sugar rose and surrounded it with some greenery provided by the design team. 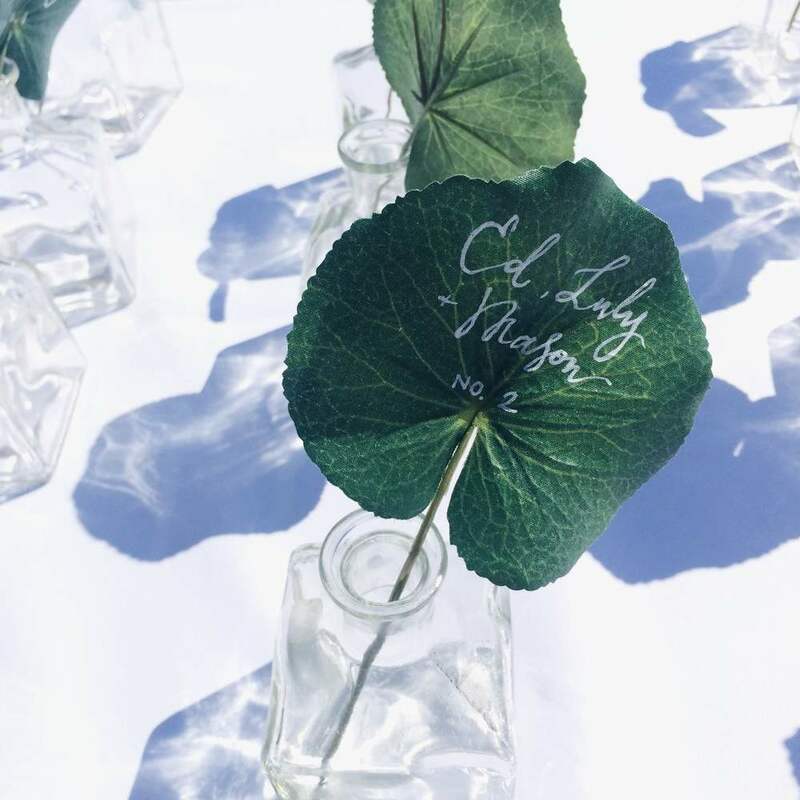 The wedding was held in the beautiful Ocean Club Hotel in Cape May, NJ and Mary Kate Moon provided some stunning calligraphy and hand lettering (on leaves! so perfect!). Danielle from Dan Fredo Photos + Films was there to catch the magic and I can't wait to see what cake shots she was able to get!